Leonard Studer was born August 25, 1891 in Coleman. His family moved to Waco when Leonard was still a boy and he graduated from Waco High and then traveled abroad for a year. His father was a very successful jeweler who began working in a watch factory as a boy in Germany and came to Waco where he opened a jewelry company in 1895.Leonard followed that pattern and became one of central Texas’ most prominent jewelers. For many years, Masons from across the state went to Studer when they needed signet rings or other items made or customized. Their massive store was located at 520 Austin Avenue which would later become a well known tavern in Waco that helped launch interest in downtown development in the 2000s: Treff’s Bar and Grill. That closed and it is now Halftime Bar and Grill. 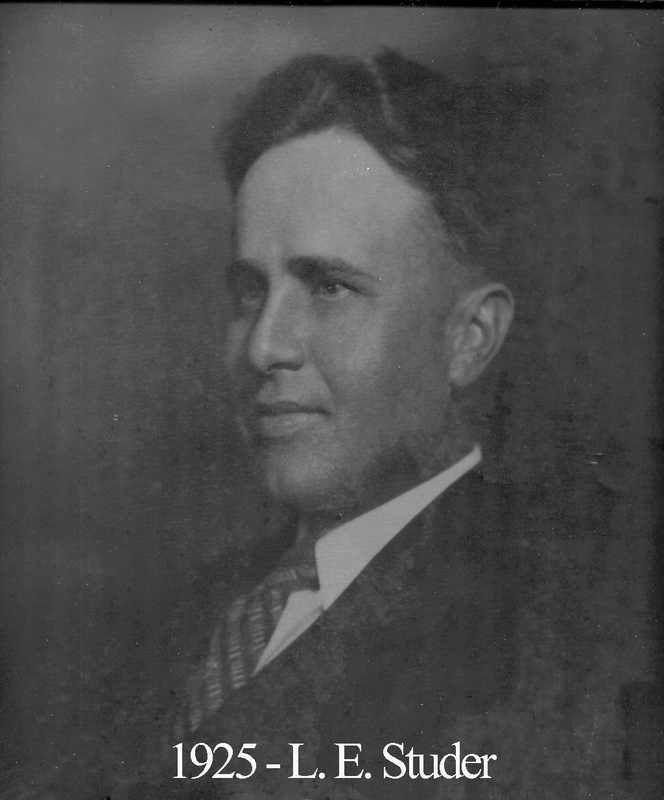 Studer was active at the Central Christian Church and he was a Past High Priest of Waco Chapter 45 and a member in all the various Waco masonic bodies. At Waco 92, Leonard Studer was fondly remembered for providing assistance and close guidance to those who followed him to the East. Any Brother who has served as Master of a lodge knows that such input from those who have been there is invaluable. He served as Grand Secretary in 1952 and then as Treasurer of the Grand Lodge of Texas for 18 years. He was Past High Priest of Waco Chapter No 45 Royal Arch Masters and a Past Commander of Waco Commandery No. 10, Knights Templar. As a member of the Waco Scottish Rites, he served as 33rd Degree Inspector General Honorary. He was a general senior steward of the Grand Lodge in 1937 and was district deputy Grand master in 1940, and a member of Karem Shrine Temple.